Before the release of the Blood and Wine expansion, The Witcher 3 is going to receive a new update which will introduce support for the expansion as well as a new menu interface and a few other features. Full patch notes have yet to be revealed, but new details on one of the new features coming to the game has emerged online. In a recent video preview of the Blood and Wine expansion, it’s been confirmed that the next The Witcher 3 update will add a new Enemy Scaling option, which will most likely scale enemies’ levels depending on the player’s level. In the same video, the previewer also mentions that he’s happy for the feature, since most of the times he was overlevelled for quests, and CDPR’s Miles Tost doesn’t contradict his statement, hinting that scaling will also be in effect for quests. Many have complained about the matter in the past, so this new feature is definitely welcome. With the Blood and Wine expansion launching in less than a week, many are expecting the next The Witcher 3 update to hit all formats in the next few days. Unfortunately, it seems like it may not be released this week, as CDPR Community Manager Marcin Momot recently revealed that it’s going to be a long weekend in Poland, starting on Thursday. The Community Manager has promised an update on the matter, so we will surely learn more about it very soon. 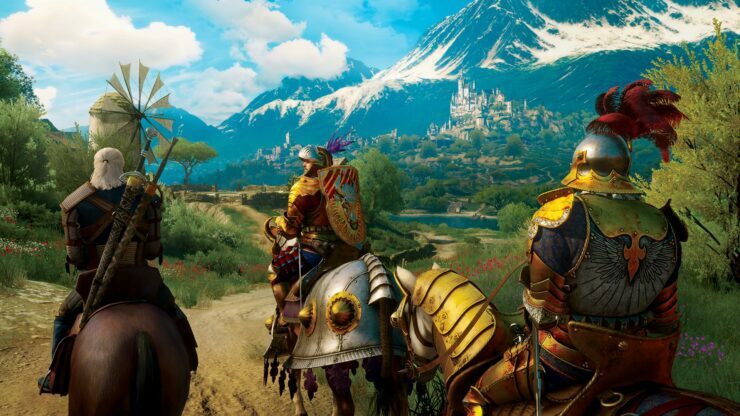 The Witcher 3 is now available in all regions on PC, PlayStation 4 and Xbox One. The Blood and Wine expansion will be released in all regions next week, on May 31st. We will keep you updated on any new feature of the next update as soon as more comes in on it, so stay tuned for all the latest news.